» New Art Law for India? Home > Global Art > New Art Law for India? New Art Law for India? Is the Antiquities and Art Treasures Regulation, Export and Import Control Bill, 2017, a Cure? Author Sarvagnya. 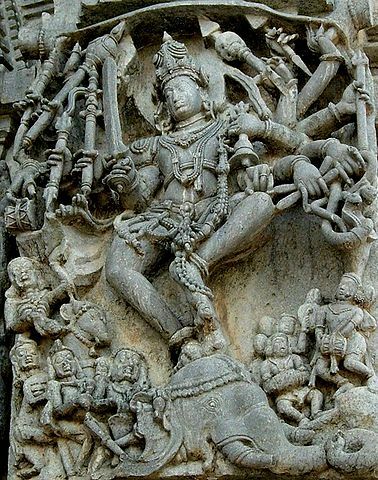 Gajasurasamhara at the Chennakesava Temple, Belur, Vishnu tearing an elephant apart, Wikimedia Commons. Frustrated by incompetent bureaucrats, driven to despair by poor organization, inadequate records, and lack of government interest, many Indian academics acknowledge privately that it is a miracle that anything happens at all. Internationally-known academics such as Naman Ahuja have argued the necessity of revamping cultural education to create modern archaeological and museum studies programs, and of involving Indian economic leaders in philanthropy, museum building, and furthering public access to art and art history. There have already been some public-private partnerships in administering historic sites. The desire to take at least part of the administration of cultural heritage out of the moribund bureaucracy of the Archaeological Services of India has given impetus to the demand for new laws, but it remains to be seen whether government is willing to welcome the private sector in, and to share responsibility for heritage within a broader, official framework. 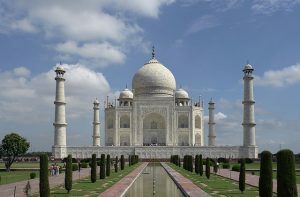 A controversial element of the law is to eliminate the requirement that all antiquities dealers in India operate under a government-issued license. Instead, anyone will be free to sell antiquities, but all antiquities sold must be described in detail in the dealer’s inventory, which must be uploaded in advance to a government portal. 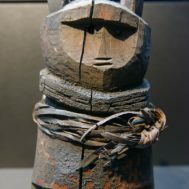 Many academics acknowledge that encouraging the evolution of domestic Indian museums will require amending the rules governing importation of antiquities. 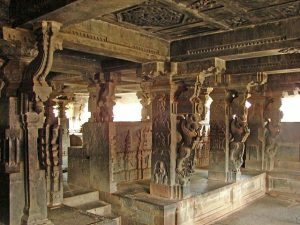 There are very important collections of ancient and historic art of India, owned either by wealthy Indian nationals who maintain homes and their collections abroad, or by persons of Indian heritage who maintain business, family and cultural contacts in India. These major collections of Indian art, primarily collected during the colonial period by British, Portuguese, and others, and now held outside of the country, cannot be re-imported back into India without being seized or having enormous customs duties imposed upon them. Such well-curated collections could be immeasurably informative and educational for the Indian public if displayed in a contemporary museum context. 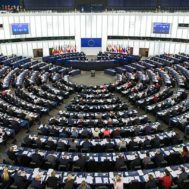 While it is not clear how successfully the new law would work to bring such collections home, it may be a first step in encouraging voluntary repatriation. 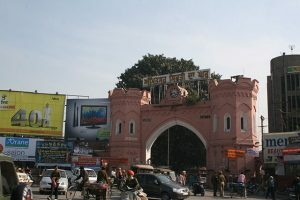 Gandhi Gate. Diego Delso, delso.photo, License CC-BY-SA. Wikimedia Commons. While many believe that encouraging India’s major art collectors could have a huge and positive impact on its cultural institutions, others see this as coddling collectors, turning a blind eye to looting, and (perhaps tellingly) abandoning traditional anti-capitalist perspectives. No one, however, says that all is currently well with Indian cultural heritage laws and administration. Badly worn objects (works with nothing to add to the understanding of history or culture) may be “written off” the lists by government officials tasked to classify antiquities. Multiple expert advisory committees will be created by government, which will decide if an item is an Antiquity or an Art Treasure. The committees will refer questions about classification to the Archaeological Services of India. The central government can compulsorily acquire Antiquities or Art Treasures and take possession of them, including by force. Objections to such takings are allowed within 30 days. Compensation shall be paid for seized objects or monuments; the compensation will be determined by agreement by a judge of the High Court, a person nominated by government having expert knowledge, or by an arbitrator having the power of a civil court. Author Dineshkannambadi. At the Rameshwara temple in Keladi, Shimoga district, Karnataka, India in July 2006. Wikimedia Commons. Under the draft law, importation of antiquities will require prior upload of a details of the imported objects to a Web portal and prior approval of the import. A Deputy Superintending Archaeologist appointed by government will assist the proper officer in clearing any imported or exported article. The Indian Government may relax import duties under certain unspecified conditions. Imported items must have been lawfully acquired. Objects shall be confiscated except where, after application to the government, the government waives confiscation. Knowing (wrongful) import of antiquities is punishable with a prison term of six months and a fine. Export of antiquities is still prohibited under the draft law. Unlawful export is punishable with a five year sentence plus a fine. It appears that an importer or exporter must have knowledge of wrongdoing in order to commit a criminal offense. Note 1: The excerpts below are from an article published in Dilip K. Chakrabarti, Nation First, Essays in the Politics of Ancient Indian Studies, Delhi 2014: Aryan Books, The Comptroller and Auditor General’s (CAG) ‘Performance Audit’ of the Archaeological Survey of India, under Highlights of the Report. “Attention has been further drawn to the following highlights of the report. There has been no comprehensive survey or review to identify monuments of national importance and include them in the list of centrally protected monuments. Similarly, there is no review of those monuments which have currently lost the status of national importance. There is no ASI data-base of the exact number of the monuments protected by it. During the joint physical inspection of the monuments, 92 monuments could not be traced. This was out of the total of 1655 jointly inspected monuments. This figure is ‘far higher’ than the number of untraceable monuments reported by the ASI to the government. The sites which fell under the category of “World Heritage” sites were in many cases subject to encroachments and unauthorized constructions, and there had been no comprehensive assessment of preservation works that were required in the case of these sites. The ASI does not have any updated and approved conservation policy to address the conservation and preservation requirements. In the absence of prescribed criteria for prioritization of monuments requiring conservation works, they were arbitrarily selected for conservation, and in many cases monuments which require structural conservation were not taken up for the work at all. There is poor documentation of the conservation works. “Inspection Notes” on monuments were not prepared by the concerned officials. Although one of the primary activities of the ASI is exploration and excavation of the archaeological remains of the country and their study, less than 1 per cent of the ASI budget is spent on this. Excavation works suffer from poor documentation. The ASI Headquarter, Delhi, could not provide the status of 458 excavation proposals sanctioned in the last 5 years. No data are available regarding the status of pending excavation reports, and numerous cases of excavation proposals were not undertaken or left incomplete. There was no comprehensive policy guideline for the management of antiquities owned by it. The ASI did not set any standard for acquisition, preservation, documentation and custody of objects in its possession. Valuable antiquities were found stored in poor condition. The museums did not perform any better in this direction. There was no proper system of even evaluating and checking the authenticity of objects acquired by them. Accession registers were not properly maintained in all the museums under review. Significant discrepancies were observed in the number of antiquities reportedly available in Indian Museum, National Museum and Asiatic Society, Kolkata, and those available as per their data-base. There was no specific policy for systematic conservation and restoration of artefacts. The ASI did not have a data-base of the total number of antiquities in its possession. The audit team found that 131 antiquities were stolen from various monuments and sites and that 37 antiquities were stolen from site museums. The ASI effort to retrieve these artefacts was ineffective. More than 95 per cent of museum objects lay in reserve collections. There was no rotational system of display in the galleries. There was shortage of staff in all key positions in the ASI and National Monument Authority. On the part of the Ministry of Culture, the governance was lax and found wanting on all aspects of adequacy of policy and legislation, financial management, monitoring of conservation projects and provision of human resources to these organizations. Note 2: Ancient art collecting in by Indian nationals in India is discouraged by current laws which, as noted above, require the possessor to record ownership and transfer to the ASI. The current legal framework is based on the Indian Treasure Trove Act of 1878; The Ancient Monuments Preservation Act of 1904; The Ancient and Historical Monuments and Archaeological Sites and Remains (Declaration of National Importance) Act of 1951; The Ancient Monuments and Archaeological Sites and Remains (AMASR) Act, 28 August 1958, and AMASR Rules 1959. 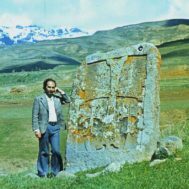 The Antiquities and Art Treasures (AAT) Act of 1972, of September 1972 covers movable cultural property, and its Rules 1973, effective April 1976.